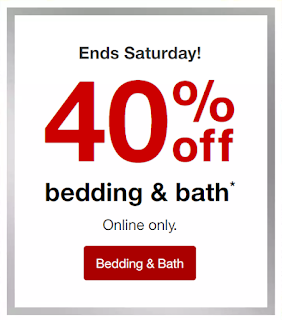 Target shoppers, if you need any bedding or bath items hop over to the Target.com sale to get an additional 40% off! Sale is good through Saturday, December 1, 2018. Click here to shop.